I've always enjoyed the challenge of photographing our clients with their horses, but it just didn't happen that often in our many years in the California Bay Area. 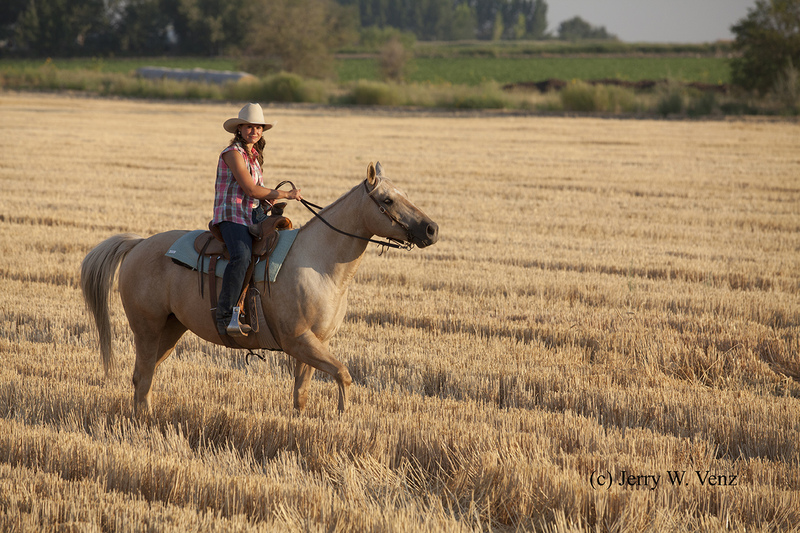 Here in Idaho we have a serious horse culture with every type of riding from dressage, cross country, and rodeo--lots of rodeos!, to pleasure riding and packing for hunting. That's why the Idaho state mammal is the stunning Appaloosa horse. We even have a state fossil and it's the Hagerman Horse! With all of this horse culture all around me it was a natural subject for a personal project that I'm calling…The horse culture of Idaho. The most difficult thing about photographing people with their horses isn't the actual photography--it's finding locations that look great that I can get into without ME being on horseback--since I don't own a horse! 1) Children--be at THEIR level. So I'm often on my knees or lower! 2) Adults--camera at THEIR eye level. 3) Heavy adults--camera two or three feet above them to hide double chins and reduce body mass. BASIC RULE: Don't have the camera below their chin--e.g. shooting up your subject's nose is a NO-NO! So, to apply this rule to people mounted on their horse I have always used a ladder for the best results. 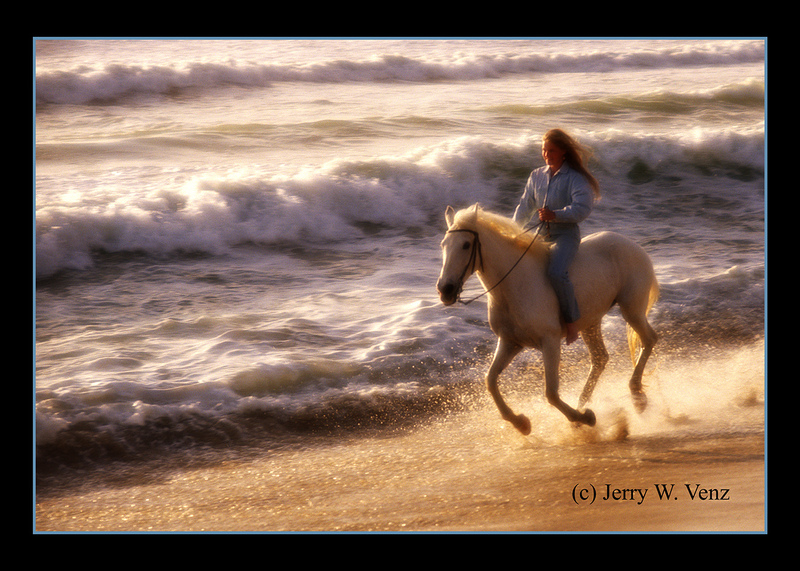 Even when I did horses on the beach I brought my 3-foot ladder and placed it on a board--to keep the ladder from sinking into the sand! It worked great. The photo below was my first PPA Loan collection Winner, in international competition, back in 1996. The main reason for this extra elevation was to be high enough so I could eliminate the sky from this scene. Doing this would simplify the composition and even-out the exposure since the sky was so much brighter than the waves. Again, on my 6-foot ladder, using the high angle down, on both these portraits to place my subjects in the right spot on their backgrounds. In the image on the left, when I was on the ground, our riders head was too close to the roof line of the little shack behind her. For the image on the right I only wanted the grass as her background, so I'm back on the ladder. 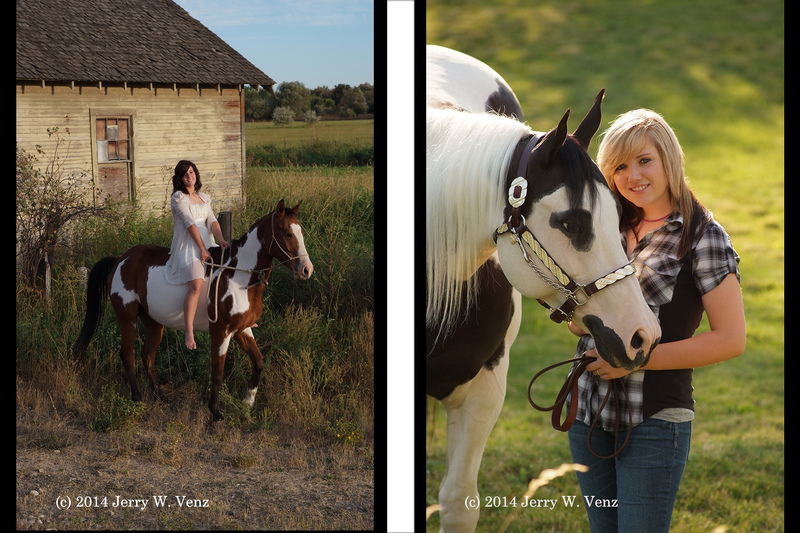 In Part 2 of Natural Light Equestrian Portraits I'll show a portrait session of two gals with their horses at a great location that required some travel, but was well work it. Till next week…Should you have any questions please don't hesitate to ask.